Slash has a famously clear overdriven sound with quite bit of “honky texture” due to the mahogany guitar, fullness thanks to the hum-buckers and accurate technique. Slash is the epitome of a guitar player. For many people when they think of a guitar the next thought they have is they experience is of a Les Paul, long hair and (of course) a top hat! 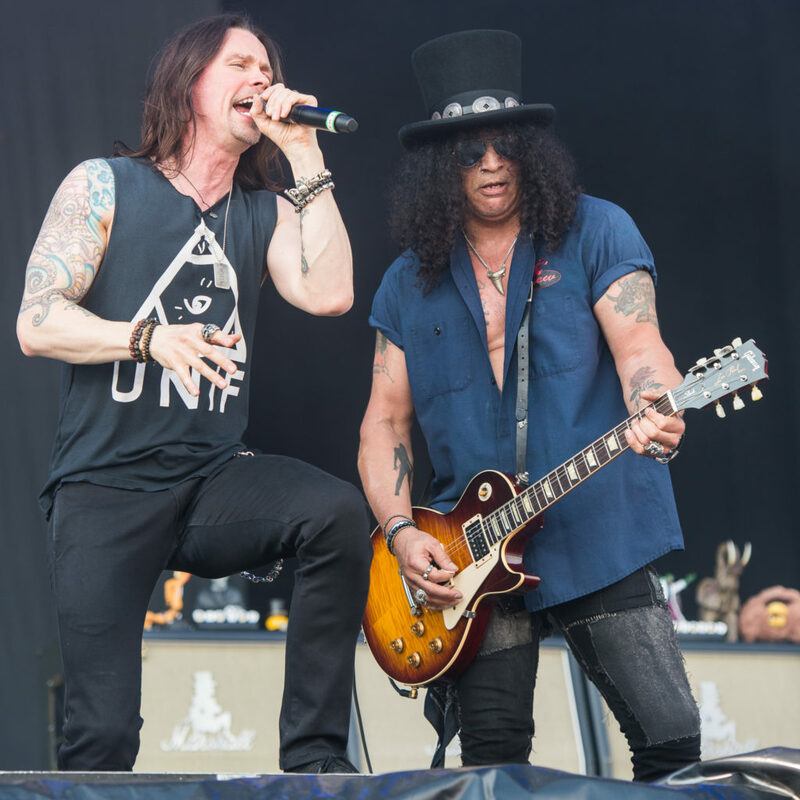 Slash’s image and sound has defined and inspired generations of guitarist’s the world over. Today we will be taking a look on how to achieve Slash’s guitar tone by exploring the guitars, amps, pedals and accessories the man himself uses! When it comes down to it Slash’s rig is relatively simplistic. A perfect example of “less is more”. He is famous for using a Gibson Les Paul guitar into a Marshall all-tube amplifier. He uses very little effect pedals (if any). When he does use effects they are commonly delay, reverb or a Wah-Wah pedal (the latter being a huge part of the Slash sound!). So with that being said, there are two main parts to this rig: the guitar and the amp. Both are equally important and there are many possibilities on both fronts that will create the famous Slash sound! Here we will take a look at possible guitar and amp options as well as low-budget tone hacks that sound great! 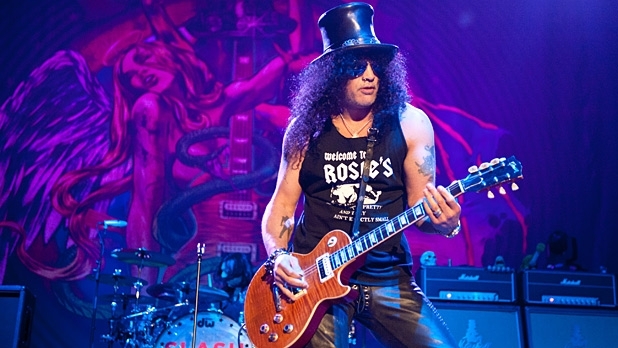 As mentioned before, Slash is famous for using a Gibson Les Paul guitar. It’s kinda his thing. He is a massive fan of the ’87 Gibson Les Paul which features a mahogany neck and body, rosewood fretboard and a 3 piece maple top. 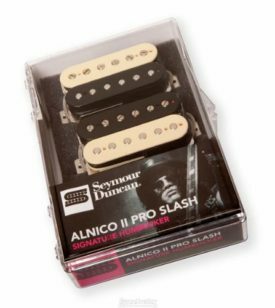 It has large frets which make it very easy to bend notes (another huge aspect of Slash’s sound which we will discuss later on) and features two Seymour Duncan Alnico II pro hum-bucking pickups. That is his preferred axe. The important take away here is the material the guitar is made out of and the type of pickups. 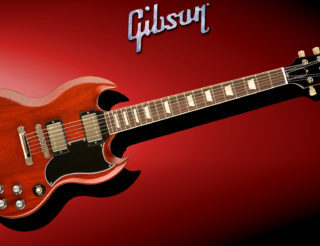 In this case we are looking for a guitar that features mahogany and has hum-bucking pickups. Keep in mind, you don’t necessarily need a Les Paul to sound like Slash, a mahogany guitar (of any body shape) and hum-bucker pick ups can go a long way and get some crazy results! Let’s take a look at some plausible candidates! 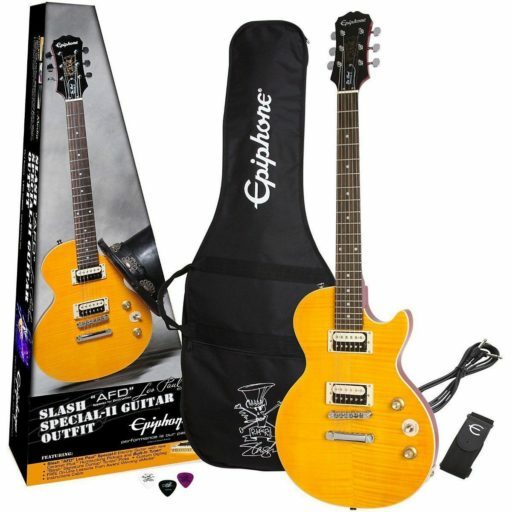 Epiphone is a company affiliated with Gibson and they are actually the only other company, besides Gibson, that is licensed to produce the original Les Paul design. With that being said, you know are getting a quality instrument, and in the case of this Epiphone, it won’t break the bank! 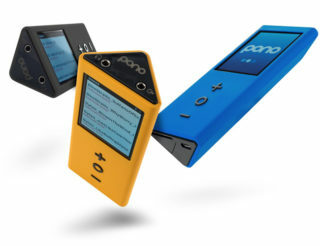 You can pick one of these up and start rocking for around $400! They feature a mahogany neck and body and a rosewood fretboard just like Slash’s Gibson! In terms of the guitar option the main things to keep in mind are that it is made of mahogany and that it has humbuckers. Mahogany tends to give a warm, dark, almost honky sound and Slash has a famously clear overdriven sound with quite bit of “honky texture” due to the mahogany and fullness thanks to the humbuckers. If you want to be very authentic and true to the Slash image than maybe the Gibson Les Paul Standard will float your boat! 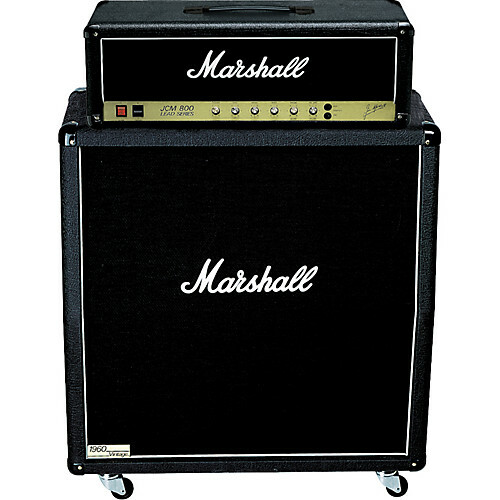 If you don’t have the cash to drop on a vintage all-tube Marshall stack, the best option is to invest in a combo! When it comes down to the amp it is very important that it is an all-tube amplifier. 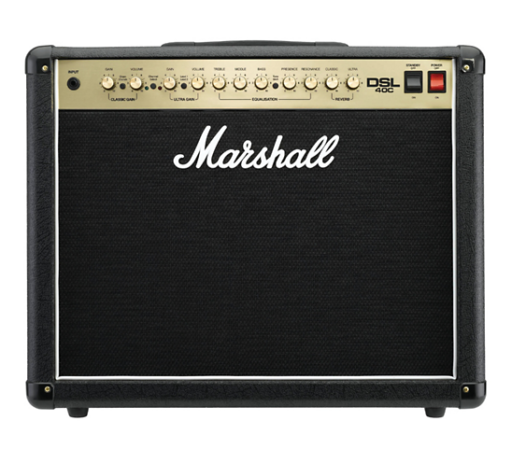 The Marshall DSL combo series are a great choice and they won’t break the bank! In terms of amp settings, Slash keeps the grain around 2 o’clock, the bass around 9-10 o’clock, the mids around 2 o’clock and the treble at noon. One of the big mistakes people make during the quest for Slash’s tone is scoping the mids, avoid scoping the mids for they are a massive part of this tone! 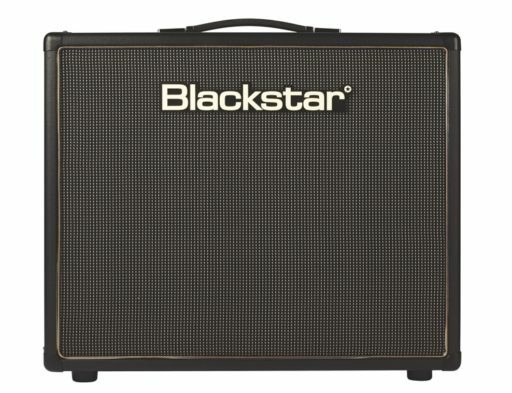 Having trouble finding an amp that isn’t expensive? Have no fear! 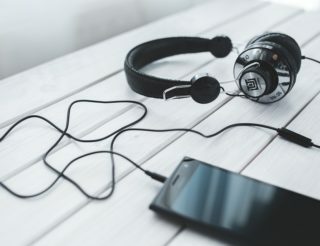 Here is a way to successfully “hack” the Slash sound using very reliable and affordable gear. 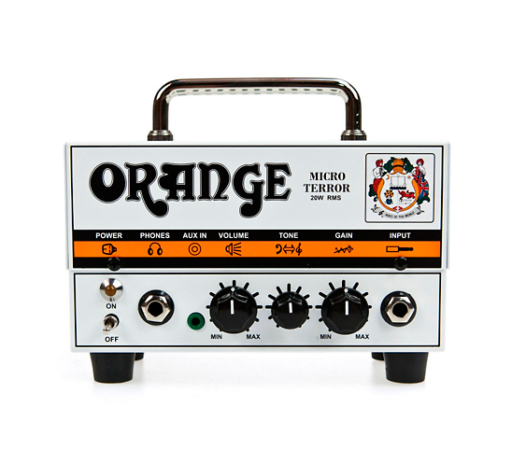 Here is what you will need: a guitar with humbuckers (preferably something alnico like these), a Orange Micro Terror Amp ,a 1×12 cabinet with celestion speakers and a Dunlop CryBaby Wah pedal. Slash is famous for his use of the Wah-Wah pedal but for this hack we are going to use the Wah more as an equalizer to effect the tone. Here is how you should set this up. Crank the Tiny Terror and plug in. 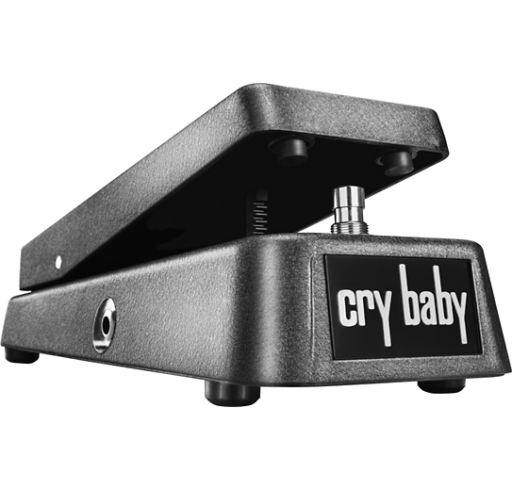 Turn on the Wah pedal, pull it back all the way and then push it forward, as far as it can go without turning it off, then bring it back just a little bit and leave it engaged in that position. Use the bridge humbucker on your guitar and roll the tone back as desired. Check these videos out for ideas! In terms of playing technique, Slash has great, precise technique. He frequently uses large, in-tune bends with elegant vibrato. 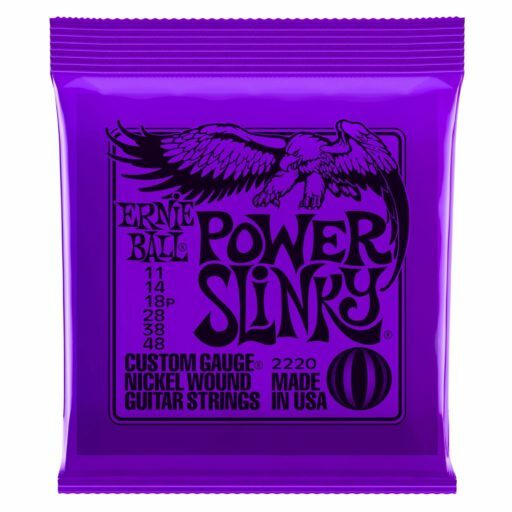 Here is all you need to know about string bending!